If you love watching movies, documentaries, and TV shows like me, then you have got to love Netflix. The behemoth video-on-demand streaming company which started back in 1997 is arguably the first choice for many movie lovers around the world. The convenience, ease-of-use, low-cost, and on-demand features of the streaming company has made it a no-brainer alternative to other options like cable or DVD discs. Netflix is simply one step ahead of everyone else in the film and TV industry, I believe it’s a much better modern TV network than other alternatives. For many people nowadays, ‘Netflix‘ is the first thing that comes to mind when they think of movies and TV series. And if you don’t, here are 7 reasons why you should (believe me, you’ll definitely going to spend this night ‘Netflix and chilling’ after reading this post). If you we to compare the costs of cable, satellite, DVDs, and other popular options for watching movies and TV shows, you will most likely end up spending more than $7.99 per month for these services, which is the basic monthly subscription plan for gaining access to unlimited content on Netflix. For just the price of two Starbucks drinks per month, you can watch everything (unlimited movies and TV shows) on Netflix on-demand, and on all your electronic devices. There is no better deal than that. You know what’s the most frustrating thing with cable or regular TV? the number of annoying ads that you have to deal, it’s really frustrating. There are very few moments in life that can be as bad as having your favorite movie (or TV show) interrupted by some annoying Ice cream commercial. However, with Netflix, you don’t really have to worry about any annoying ads whatsoever — since Netflix doesn’t really have to show you any ads mainly because they already make money from their subscription-based service plans. According to statistics, in 2017 alone, Netflix generated an outstanding revenue of around $11.69 Billion, which makes it among the largest private companies in the world. Which also means that Netflix has more than enough resources to create and produce their own Netflix original movies and TV show. 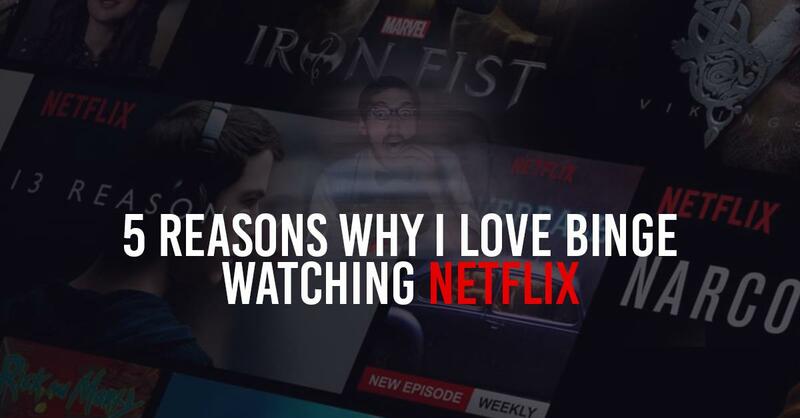 And make no mistake about it, Netflix has produced some of the most highly-rated and addictive TV shows in the recent years, Narcos, Stranger things, and House of cards just to name a few. With regular cable or satellite TV, you’re stuck inside, if you want to watch a movie, you must sit at home, lay on the couch and all that — just to watch some TV. But what if you’re not home? Well, I afraid to say it, but that cable or satellite subscription just goes to waste if you’re not using it inside the house. Luckily, with Netflix you don’t have to worry about that. You can watch unlimited films and TV shows on-demand, anytime and anywhere you want; since Netflix works on a variety of devices, you can stream content from your Smart TV, Gaming console, phone, tablet, computer, you have complete freedom over your viewing pleasure. Watching a TV series in like a week with multiple seasons, and getting little to no sleep. With Netflix’s huge library of compelling and highly-rated entertainment content, it’s hard to resist binge-watching some of the world’s most exciting and addictive TV shows. Thanks to Netflix, In a matter of less than a week, I managed to finish all five seasons of Breaking Bad. But sadly there’s only one problem with Netflix? While Netflix is by far the best modern TV network in the world, it’s not all sunshine and rainbows. Netflix is known for banning IP addresses of overseas customers who are trying to access US or UK content. Because more often than not, US/UK customers tend to have more content options than customers in other regions. This is commonly referred to as geo-restriction, and is obviously unfair to customers who are paying for the service and not being able to watch what they want. Luckily, there are some VPN providers in the market such as VPN.Express who can successfully unblock content and bypass Netflix’s geo-restricted movies and TV shows. BEST VPN FOR NETFLIX: Get 1 year free of VPN.Express and enjoy unrestricted Netflix content anywhere, anytime.